If you’re a lover of Viking culture and you’re in Reykjavík for the next few days, then you’re in for a terrific treat. Currently moored at the Old Harbour by the Harpa concert hall is a beautiful 35-metre long Viking ship, crafted from solid oak with a dazzling red silk sail. 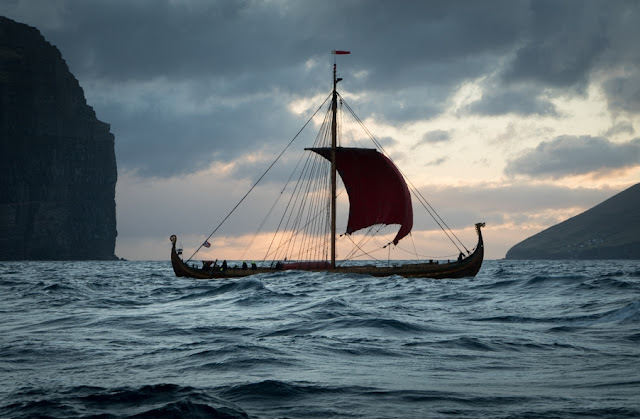 Named Draken Harald Hårfagre, the vessel is a replica of a mythical Viking longship ship referred to in the Sagas as the Great Ship. 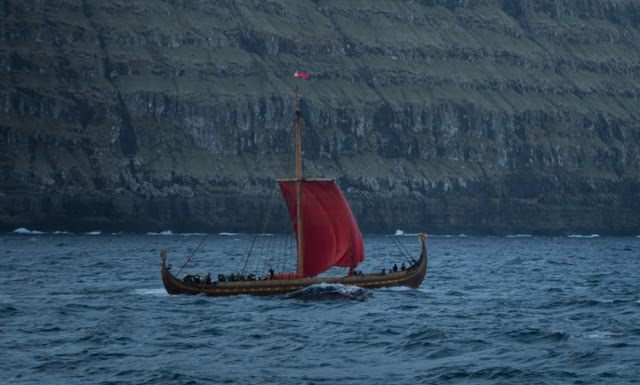 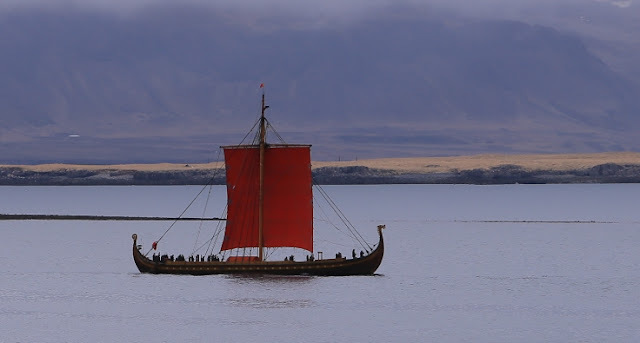 The arrival of this impressive ship in Iceland marks the first stop on an epic voyage to cross the North Atlantic in an attempt to “relive” the Viking visit of the "New" (Old) World and pay homage to the legendary journey that took place over 1,000 years ago when Iceland’s most famous explorer Leifur Eriksson visited America. The ship set sail from Haugesund, Norway in on April 24th and is scheduled to arrive in Newfoundland, Canada in June. 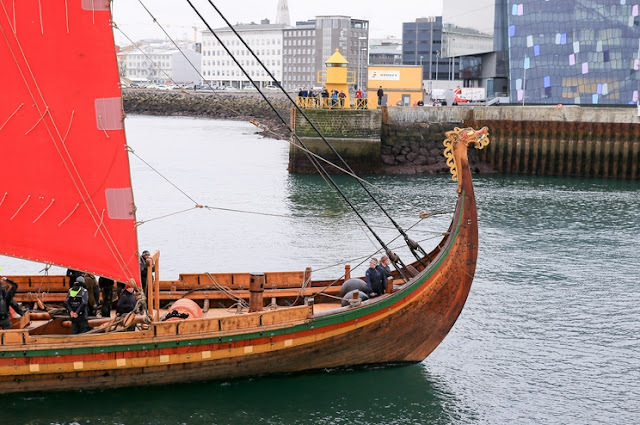 The ship will be at the Old Harbour in Reykjavik until Friday when it continues on its journey to North America stopping in Greenland along the way. 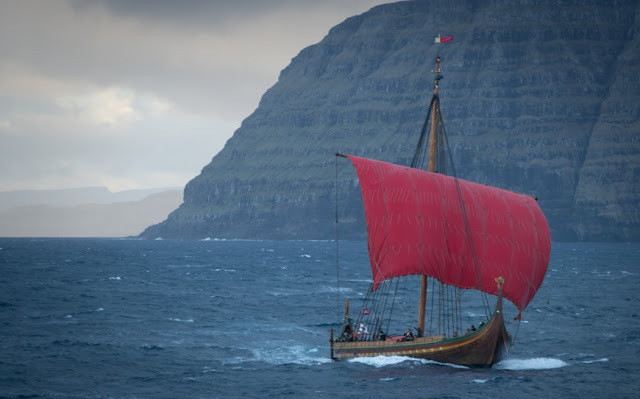 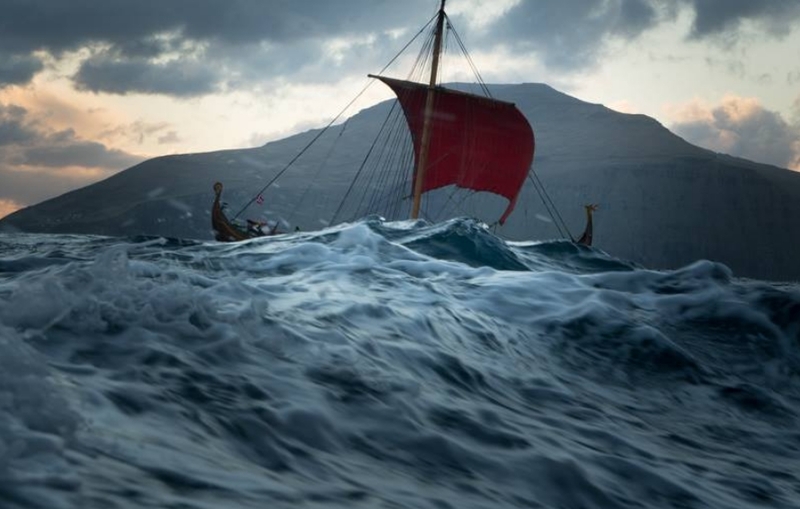 Responses to "World’s biggest Viking ship revisits the arrival of the Vikings to America"